These heavy-duty commercial shelving units are available with 13 1/2", 18", or new 24" deep shelving. Select the size you need to carry boxed parts, power tools, cases, extension cords, etc. Units are 65"H and available in shelf widths of 39", 48", or 60". All shelves feature a 3" lip to keep items in place. These heavy-duty commercial shelving units are available with 13 1/2", 18", or new 24" deep shelving. Select the size you need to carry boxed parts, power tools, cases, extension cords, etc. Units are 65"H and available in shelf widths of 39", 48", or 60". All shelves feature a 3" lip to keep items in place. Shelves adjust up or down on 1" centers and can be divided on 2" centers. 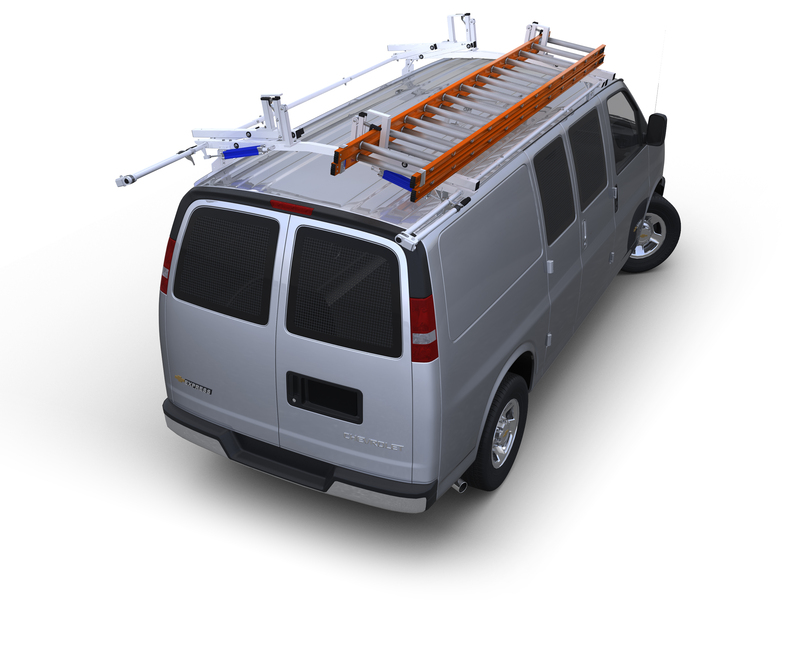 Shelving units are designed to be used in cube or step vans, the new Nissan NV high roof vans and are also perfect for use in the shop, garage, or basement.